In 1799, Bonaparte launched sixty attacks on Saint-Jean-d'Acre and did not capture it. There was a tower there, nicknamed the Infernal Tower, that resisted every assault. Bonaparte evebtually lifted the siege, uttering these words, which no one understood: "The fate of the world resides in that tower." But if Saint-Jean-d'Acre had fallen, Bonaparte would have become Emperor of India, and History would not have recorded neither Austerlitz, nor Waterloo. The Infernal Tower was the Tower of Destiny, Turris fatidica. 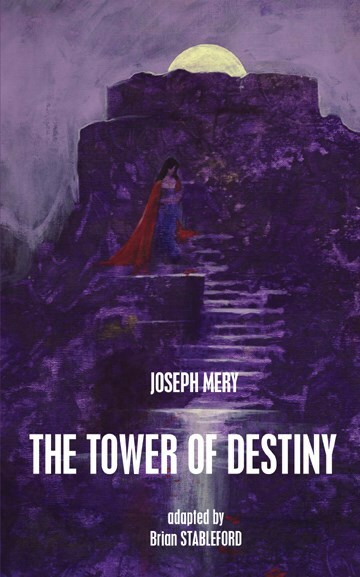 Joseph Méry (1798-1866) was the nearest French equivalent to Edgar Allan Poe as a ground-breaking pioneer of speculative fiction. The title piece is a significant exercise in alternate history, in which Méry imagined that Napoleon's life took a different turn in Egypt in 1799. The Truth About Creation argues in a mock-serious manner that there is nothing supernatural about God's creation of the world.The Lunarians, inspired by the New York Sun's famous "moon hoax" of 1835, offers a colorful picture of a Selenite civilization. The Explorations of Victor Hummer describes the rediscovery of a mythical city in Egypt. What We Shall See outlines the Utopian prospects of future human progress and includes some striking imagery of a future Paris, also featured in the classic The Ruins of Paris.